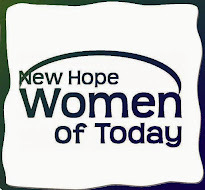 New Hope Women of Today: January Recipe for Wellness! Here's a fun workout challenge for those looking to get in shape this year! Pick a workout and set a # to do each day. For example Bryan has decided I can do 200 squats per day! Maybe for you it is 100 sit-ups or 25 push-ups. Then try to get them done as fast and as early in the day as possible. Track your progress — are you finishing them faster and earlier in the day than day 1? GREAT!! Even better, find a partner to do this with — keep each other accountable and see who can do them faster! Come to the January general meeting for a fun exercise surprise!